The singer - launching his band's new warts-and-all documentary - said they each had to put their own ideas on the "back-burner" when they recorded as a group, but that they may see the light of day as solo material. Caleb said he and drummer Nathan's musical tastes were very different to their bandmates. He said: "So when you get in there (the studio) sometimes you just throw it all away and say 'Alright, well let's make this music together'. "And the things that you love that you've been working on, sometimes you have to put it on the back burner and you just know that one day it will be heard, but it might not be Kings Of Leon that'll be putting it out. "It might be some up-and-coming singer or it might be us individually doing a project. You never know." 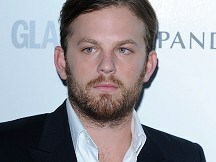 The group - brothers Caleb, Nathan, Jared and cousin Matthew Followill - have a famously fiery relationship which can be seen in new film Talihina Sky: The Story Of Kings Of Leon. The movie, receiving its European premiere at the Edinburgh International Film Festival on Saturday, shows them fighting and arguing. Nathan said: "It shows us probably acting the way that people would never want themselves to be seen. And it would have been very easy for us to candy-coat this and make us seem super cool all the time, and nothing ever gets to us and we never fight and it's just good times and partying and hunky dory, and this shows us the opposite. "It shows us fighting and the alcohol face and bloated and puking from too much partying and Jared with a girl 12 years older than him on tour. It shows us being us, not at our best and not scared for people to see that."